They always make you feel like a family member. They take care of you in every way and make sure you are comfortable before leaving their shop. I have worked in hospitals and medical offices for about 40 years, so I "get" the challenges of creating a patient-friendly office ambiance. After a prior discouraging experience attempting to get care from one of the "corporate" hearing aid outlets on my insurance plan, I was referred to Countryside Hearing by another independent provider. I walked into the office and was greeted like a long-absent family member by Jennifer (receptionist): with kind cordiality and effusive warmth. Tom (Hearing Aid Specialist) and Laurie (Tom's spouse and assistant) respectfully listened as I described the challenges of living with poor hearing on a retirement income. Tom's elicitation of my history and his examination were thoroughly professional and he proposed options without "pushing." I always look forward to follow-up appointments and feel blessed to be part of their "family"! Best hearing aid shoppe in Clearwater. Been to many high pressure high prices. Yuck ... however this is the place if u need hearing aides. From the time u walk in. Very friendly office help. Then u met tom. Very low key, however he knows his craft. He got my mom back to hearing at a fair price .does not end there any problems these people are there to help you whenever needed with whatever you need. .. thanks countryside hearing aids. The last thing I wanted was to be wearing hearing aids at 36 years old. The staff at Countryside Hearing Aids was welcoming from day 1 helping me transition to the assisted hearing lifestyle. They worked with my insurance and in no time had a great pair of hearing aids. They take care of you and make you feel like part of the family. I was one of those guys that did not want to wear hearing aids. I hated the thought of it. I needed them for years, after having them I wish I had not waited so long to get them. I am 100% satisfied with how they feel, how they work and the service I have been given from everyone at Countryside Hearing Aid Services. It's a bit of a drive to get to them but well worth the time out of my day to go for service when needed. The price was fair and the product is amazing. Thank all of you at Countryside Hearing. Exceptional service. LOVE the 3 month check ups & free batteries. The entire office staff is very personable with a very knowledgeable & funny hearing specialist at the helm. Great people, Great service, Great results. 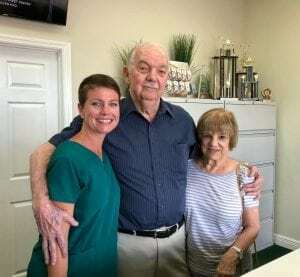 Thomas Mitchell, the owner of Countryside Hearing Aid Services and Hearing Aid Specialist takes the time to thoroughly analyze your hearing loss. He gets to know you as a person and then tailors a solution that meets your needs. No off-the-shelf solutions here! The regularly scheduled follow-ups are a real plus. 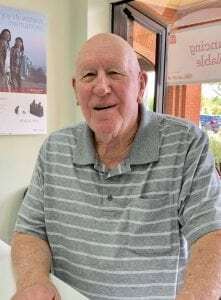 Thomas Mitchell was able to adjust my hearing aids over time to optimize their function and fit. He also allowed me to try several different tips until we found the ones that fit and worked best for me! This is something no other doctor took the time to do. This attention to detail and a willingness to listen to the patient makes all the difference. Highly Recommended! I recently visited Countryside Hearing to get service and programming for my existing hearing aids. I’m actually going to church again with my wife since I can now hear and understand the message. A couple of weeks ago, I had a speaking engagement that was giving me a good bit anxiety, since I had never been able to communicate effectively with the audience. Once Countryside Hearing made the necessary adjustments, I could not only hear the audience, but I could also understand them! I highly recommend Tom Mitchell and his staff at Countryside Hearing. You will not be disappointed! I am very satisfied! I've had hearing aids for 5 years (not cheap ones).I needed new parts, so Googled for a representative and found Countryside Hearing near me. Wow, what a pleasant staff!! I complained about my hearing aids to the man with my parts(I now know is the owner). He offered to sell me traded in $7000 hearing aids for $2000 that would far exceed the hearing of my current ones. We left, but called for an appointment.I had the test and bought the best he had to offer. These ReSound Quattro hearing aids are giving me amazing hearing. If you are having trouble with hearing, I highly recommend Countryside Hearing Aid Services. I could go on more, but call and find out for yourself. You won't be disappointed!!!! One cannot count the number of "thank-yous" needed to explain the gratitude we have towards all of you for the way your handled my mother's hearing situation. You are the best! Months before I got hearing aids, I couldn't hear the birds singing outside. At Church, all I could hear was background noise when someone was sitting next to me. Since purchasing hearing aids at Countryside Hearing, I can hear the birds chirping and can now understand what other people are talking about when sitting next to someone. Life is so much better now that I can hear! I have accompanied my Father on all of his appointments and have been very impressed by the service he receives, especially the follow up service. Tom is very thorough explaining how to wear and use the hearing aids. Very professional! I was referred by a dear friend who was a patient that spoke very highly of Tom and his staff. I didn't know where to go for hearing aids or who to even trust. When I walked in to Countryside Hearing location, not only did I feel welcomed but I also felt like they really wanted to take care of my hearing needs. Countryside Hearing is the BEST! Completely happy with my hearing aids and would recommend to everyone! Been a customer now for over 2 years and am very happy with their service and how very friendly the staff is. Been telling people about Countryside Hearing Aids wherever I go. I want to personally thank Countryside Hearing Aids because my Life is so much better having worked with them. Equipment is top notch and pricing is excellent. Follow up visits are great and the staff is so friendly. Would recommend any and everyone to them. Love Tom, his staff and their caring service! I would recommend them to anyone! I am very pleased with the great service and excellent hearing aids. Friends and family don't have to repeat anymore. Love the iPhone connectivity. What a difference! I have been visiting audiologists offices for over 20 years with my child who has worn a hearing aid since age 4. When I needed a hearing aid, I knew what great service should be. I was referred to Countryside Hearing from someone who had been a customer for a long time. The consultation visits were very thorough and the follow-up visits have been exceptional. I drive 90 miles every 3-4 months to get my aid checked because of the great customer service Countryside Hearing offers.